On 15th Aug 2017 the world’s largest democracy – #India turns 70 . We live in an era where we have the opportunity to participate in creating a nation that is truly #SaareJahanSeAccha . Great citizens make a nation great . We would like to invoke your inner citizen activist by suggesting 70 doable ways in which we can contribute to creating an even greater, joyous , sustainable and #SwachhBharat. Visit an old relative / neighbour . You will make their day. Remember that as an Indian – you are an Ambassador of India – within India & overseas . Try to learn a new language – an Indian language . Each time you buy something you are voting for the kind of world you wish to live in. Pl choose consciously . Each of us has talents and passions . Pl choose causes you resonate with and bring your contribution to it. When you notice awesome service – make it a point to acknowledge it . We are a diverse nation – unique in the world . Let’s remember that we are first and foremost – Indians. Learn Yoga – your body and eventually family will thank you for a healthier , calmer you ! Stand up for what you believe in . Make your voice count . There are many avenues where you can share your ideas for India – e.g MyGov.in , NaMo app .Your ideas can help shape India. One Billion Indians . 52 billion potential #IndiaPositive Actions . Each One Of Us Can Make A Difference . Together We Make Change. In your #MannKiBaat on 26th March 2017 you spoke about #Yoga and asked for suggestions on promoting it . Yoga is a rich treasure of our culture . Practice of Yoga can help create a more calm and joyous world . - Yoga should be taught in schools and colleges across India . This will be an invaluable gift to students . Studies in USA have shown how Yoga when taught to children has had dramatic effects on their well being . Children in India are currently being denied their heritage by way of an education system where they spend 15-18 years and are never taught yoga. - The world of today is way more complex and competitive . Children are subject to huge amount of pressure , stress and distractions simply because the world is a very different place . Imagine an army that has powerful weapons yet sends it’s soldiers to war without ammunition. We’re doing that to our children in India by depriving them of Yoga in our education system. - All Indian airports should have a meditation room where people can practice Meditation / Yoga / Pranayama . - Larger airports like Mumbai / Delhi should have larger spaces for this where trained teacher & videos to basic yoga can be made available. - Progressively train stations and large bus stations ( as have been recently inaugurated in Gujarat ) should also have this facility of a space where people can meditate / do yoga . This should become part of specs of any future transport space of a certain scale . - Govt of India can take up spaces in international airports – especially those that are vibrant transit hubs like Singapore , Dubai , London , Qatar etc. Passengers often have long transit at these airports . Mostly people shop / eat or go on city tours. GOI can take up spaces that can be managed by organizations like Art of Living / Isha Foundation where there can be an introduction to Yoga by way of videos, Live classes by a trained instructor. Organizations like Isha Foundation / Art of Living have an international footprint . They would be able to arrange for trained yoga teachers in various locations . A common curriculum can be evolved so that irrespective of which org manages the space – the structure and content would be largely common . It would be a powerful way to present Yoga and India to the world . This would have a positive impact on Indian tourism . ( I have listed 2 org for the purpose of illustration . There may be several more who can participate ) . I thank you for your vision , zeal and efforts to promote Yoga in India and internationally . At Clean Planet we love all things sustainable and handcrafted . Our eco handcrafted range is contemporary , stylish and impeccable. From Ikat to block prints to Khadi to hand embroidered accessories – the range represents the diversity of India’s rich textile heritage. Craft and contemporary styling come together as stylish totes , clutches , pouches , gift bags , slings . 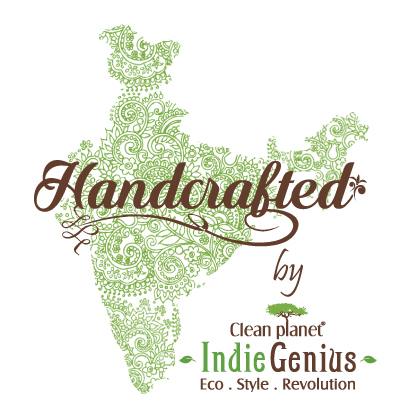 Look out for this vibrant tag on Indigenius handcrafted products ! 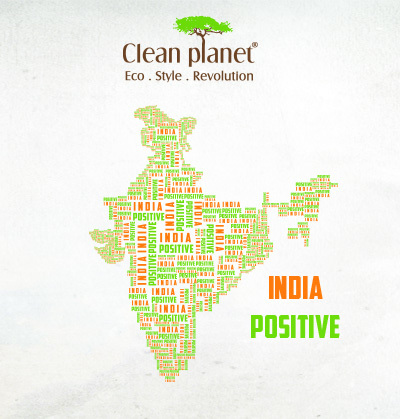 Clean Planet : Made in India. To Make a Better India. A meeting with Major D P Singh in Delhi earlier this year sparked off a discussion on a event to culminate on 3 Dec 2016 which is ‘World Disabilities Day‘ . The idea was to combine focus on needs of differently abled people and SwachhBharat - a cause very dear to us. We’re happy to partner with Swachh Ability Run – a first of it’s kind marathon and cleanathon that focuses on Differently Abled Persons and Swachhta . It’s been our pleasure to have designed the logo for SwachhAbility Run. Not only is the event the ‘first of it’s kind’ – even the collaborators are first of it’s kind : The Indian Army , J.K Cement , Delhi Dynamos – a football team , Clean Planet , Proton Sports , The Challenging Ones – NGO founded by Major D P Singh. Join us at Chandigarh on 27th Nov 2016 all the way to Delhi on 3rd Dec 2016 to make an #Inclusive and #SwachhBharat. We love all things eco friendly and handcrafted . We bring together our love for both in “Indigenius” range of vibrant products . 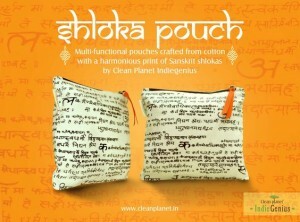 This smart pouch is impeccably crafted from hand block printed cotton fabric . A smart metal zip makes it a must have in anyone’s handbag . A versatile pouch that can be used as a wallet , for keeping your storage devices , as a make up pouch , put your bills into it , write a letter and gift it with the pouch. 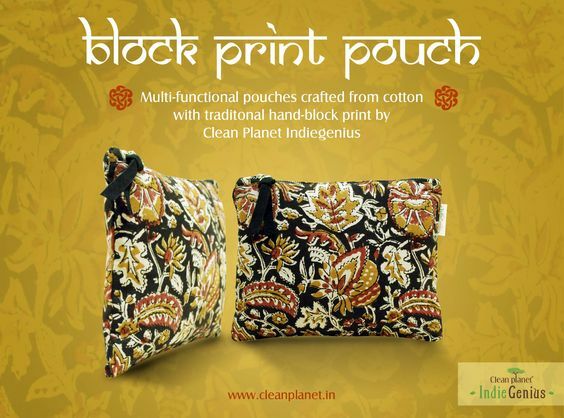 Carry a bit of India with pride with Indiegenius accessories from Clean Planet. Our love for India and the planet manifested as an eco-friendly , first of it’s kind typography pouch that celebrates the diversity of India . Smart , contemporary , planet friendly – this is our tribute to all that makes India a vibrant , glorious , magnificent nation . 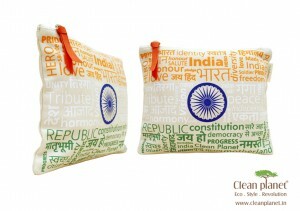 Since it’s launch the ‘Celebrate India ‘ pouch has received much love from Indians and even people of other nationalities ! At Clean Planet we believe that words have energy and power . Everyday living objects can be imbued with purpose , meaning and positivity . A pouch can be so much more than a pouch . 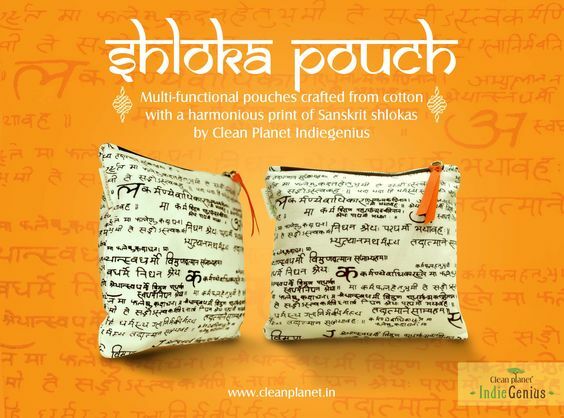 The Indigenius Shloka pouch is a bundle of positive energy crafted impeccably from 100% Cotton . It has the elegant charm of a wise sage . Look forward to more of these in the coming months and beyond. India has a rich legacy of textile culture that has nurtured over centuries . The diversity and depth of India’s textile heritage is unparalleled anywhere in the world . We pay a tribute to the crafts of India with “Indiegenius” – Handcrafted accessories – which are smart , stylish , contemporary and planet friendly . The search for special fabrics led us from Andhra Pradesh to Sikkim to choose the best fabrics for the Classic Black & White series. 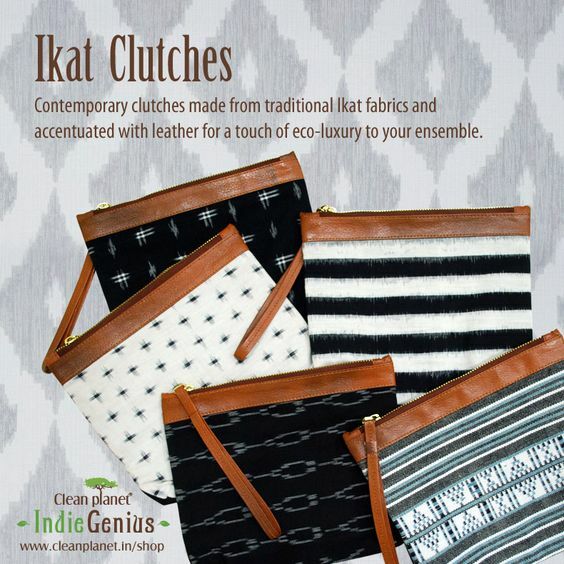 Only the finest of materials finds place in Indiegenius – handpicked handcrafted fabrics , genuine leather , metal trims . All lovingly crafted into an impeccable clutch that you can carry in style anywhere from Mumbai to Rio . Think of it as a modern day heirloom ! In our urban world – we often end up saving our special attire for special occasions . With this we see less and less of our rich craft legacy in our everyday lives . 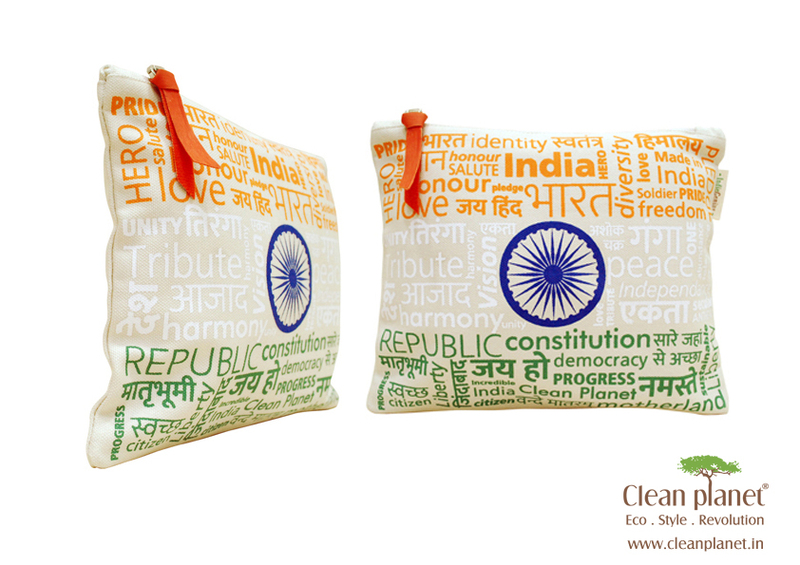 With Indiegenius accessories you can carry a part of India with you – everyday. 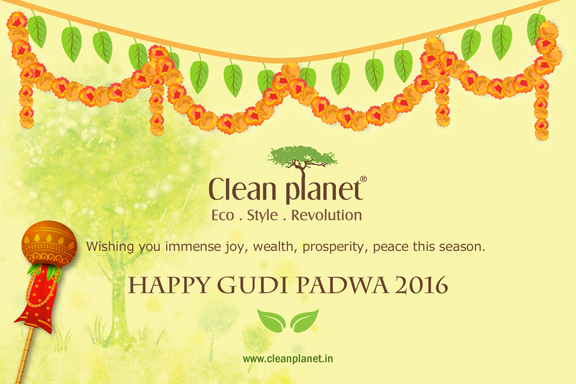 Wishing everyone a very joyous Gudi Padwa . Stay Eco in your Celebrations ! 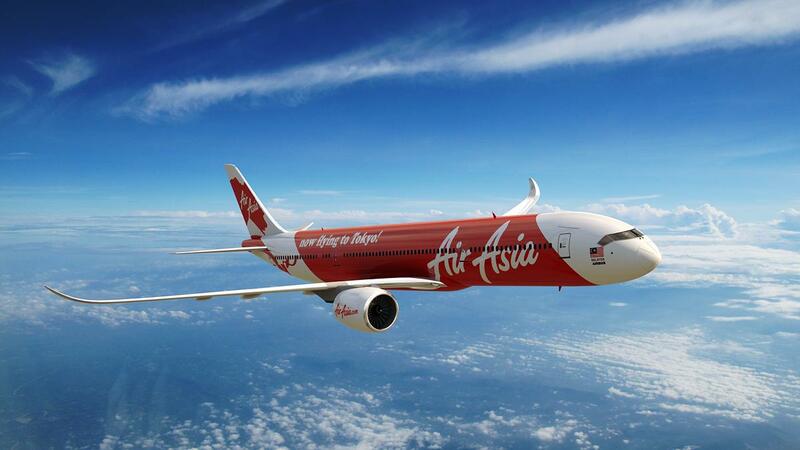 Most of Asia woke up today to the news of Air Asia flight QZ8501 having disappeared en route to Singapore . Across the world people tracked the news hoping for a miracle of the passengers being rescued . That hope still burns bright . Hopefully tomorrow will bring good news about the passengers on board being rescued from the sea . As it always happens with such flights – there are people who made a last minute reservation to take the flight . And some who cancelled their tickets close to departure . One such lucky individual was Mr Chandra Susanto who was scheduled to travel on QZ8501 along with his wife and 3 children . They cancelled the plan a day prior as his father was unwell . Reading the article it struck me that most of us are blessed to have that opportunity daily . Just because we did not miss a flight that crashed we don’t often realize the enormity of the gift that each day represents . Our thoughts and prayers with those onboard the flight and their families and loved ones . A real tribute would be living each day for the GIFT it truly is #Be the Best People We can & Help Others.